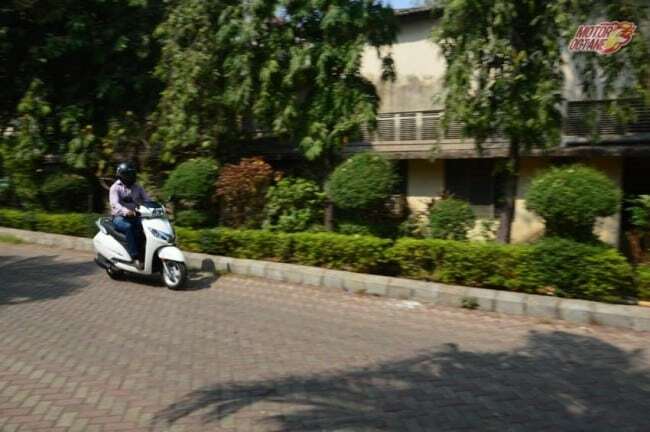 If you are looking at buying an Activa in Mumbai, do share your contact details. Honda wants to cater to subtle buyers as well. 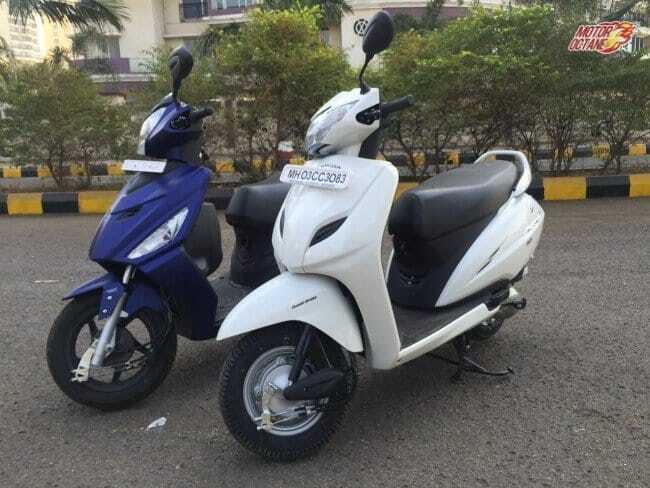 So they have retained colours like white on the Activa 3G also. The Activa 3G has a 109cc engine that produces about 8bhp. The Activa is very zippy and even there is good enough instant power that is normally needed in city. 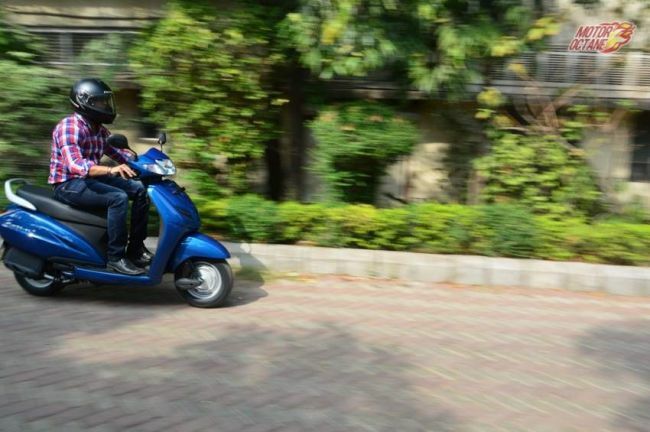 The fuel efficiency is also good, and it is one of our favourite scooters in 110cc, and no doubt it is the best-seller too. 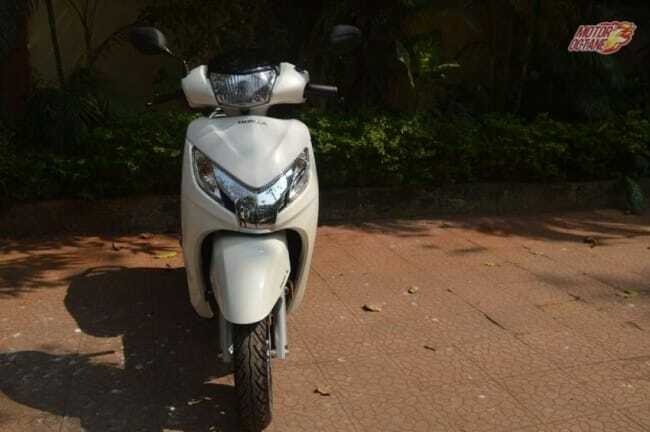 The Activa 3G is the best-selling scooter in its segment and even of the three scooters it is the 3G that is the pick for majority buyers. The 3G is also available in trendy colours like the blue that we have shot and even subtle colours like white and silver. The Honda Activa 125 has a larger mill and bigger tyres as compared to the Activa 3G. The suspension remains the same as the on the Activa 3G. This is a 125cc single-cylinder engine that produces 8.6bhp and 10.1Nm of maximum torque. This engine is more powerful and it feels so. Honda Activa 125 is more stable in riding than the Activa 3G and this is a major difference between the two scooters. There is more power to pull away at any speeds. 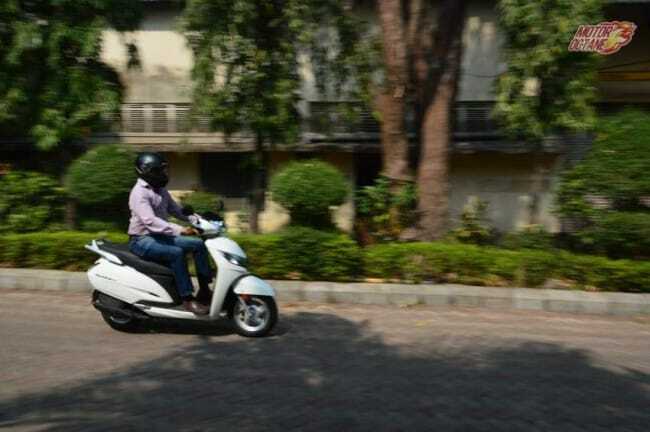 With bigger tyres, the Activa 125 feels a lot more comfortable too. The Active 125 is much more comfortable to cruise at higher speeds, while at normal city speeds, it is equivalent to that of the Active 3G. The Active 125 comes in subtle colours mostly dual tone colour scheme. The Activa 3G means the third-generation of the Activa. Nothing changes in the mechanicals such as the engine, gearbox, suspension, ride and handling. 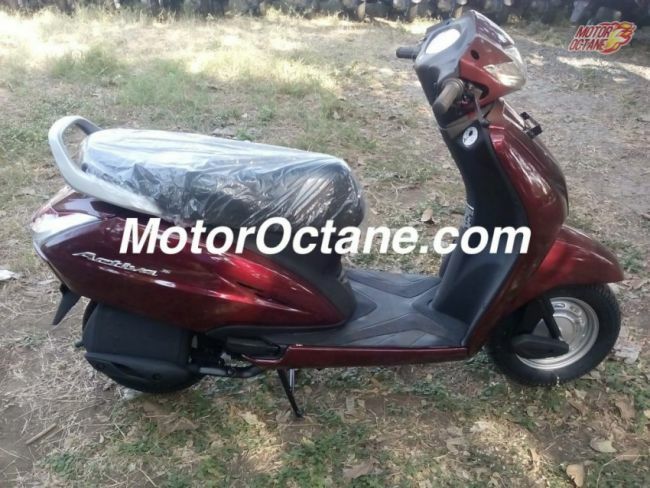 The Honda Activa 3G and the previous Activa are different only cosmetically. The new Activa 3G is now trendier, more stylish and comes in new colours too, like the blue one. 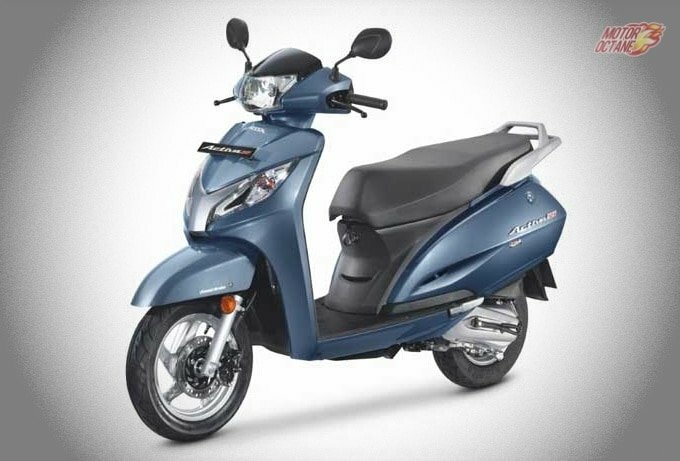 The Honda Activa 125 comes in dual tone colours and it looks like a lot muscular and bigger in size. The body of the Activa 125 is the same but it gets styling enhancements and also 12-inch wheels which make it taller. Also Read: Should you buy Honda Navi instead of a scooter? In terms of mileage, there isn’t a major difference between that of the Activa 3G and the Activa 125. Both return a figure close 40-45. With the Activa 125 being about 42km/l and the Activa 3G closer to 44km/l. The Activa-I is the same Activa with body-weight of 103kg instead of 110 on the Activa. So, the Activa-i is perceived a feminine scooter as it is slender and is available in trendy colours. But honestly, it is lighter and even more fun to ride than the Activa 3G. This scooter is much more fun as it is lighter and more easier to ride in the city. The Activa-i is called as a personal scooter, while the Activa 3G gets the family scooter tag. The Activa-i is a lot cheaper than the Activa 3G, so it becomes a good option. Honda Activa 3G or Honda Activa 125? The Activa 3G is the best choice and if you are driving more on open roads where you can cruise at 65km/hr, then pick the Activa 125, else the Activa 3G does the job for you. The Activa 3G has a top speed dog 82km/hr and the 125 has bit more higher. 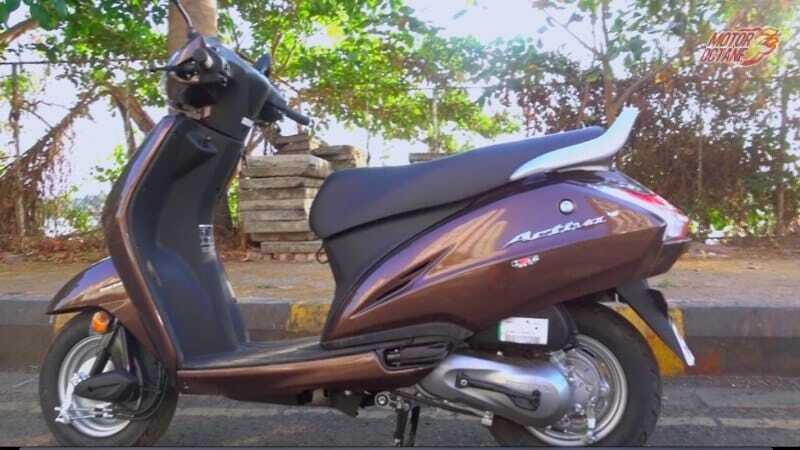 You buy a scooter for city use generally and hence, the Activa 3G is our recommendation. When you think scooters, one name that comes to mind is Honda Activa. The brand Activa has been more popular than Honda itself, in India and the scooter has been the best sller for a long time now. Honda Activa has been receiving upgrades periodically and this has helped the brand grow stronger over the years. It has grabbed the mind share of customers and is top of the mind while making a purchase. The Honda Activa is in its fourth generation now and there are some changes it brings along with. This is the Honda Activa 4G, which stands for 4th generation. While the upgrades are not major like the Activa 3G, it does get some cometic upgrades that make it look more premium. The Honda Activa 4G is a sophisticated looking scooter and looks better than its earlier models. The Honda Activa 4G get changes that are not major in nature though. 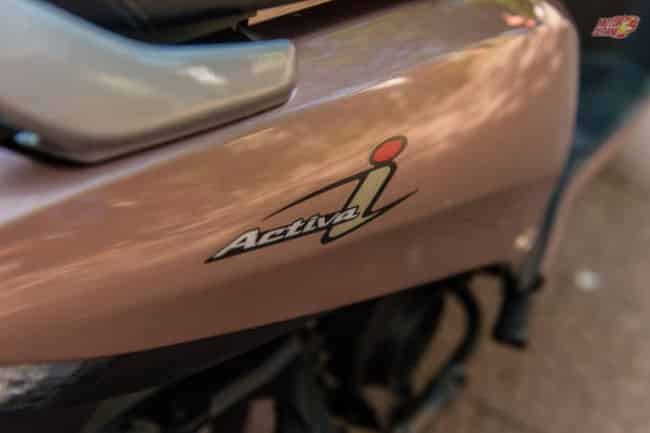 The first major change is that the Activa 4G now gets a BS-IV engine. The scooter now complies with the new emission norms. It also gets AHO (Auto Headlamp On) and some minor tweaks in styling. The basic design and features of the Honda Activa 4G the same as earlier. There is a USB charging facility though, which is available as a accessory at a higher price. We wish this could have been offered as a standard feature. The Honda Activa 4G is priced at ₹ 57,000 (on-road, Delhi) and to install any accessory, one has to spend extra money. Lets see in detail what all the Honda Activa 4G brings in. Honda Activa 4G will be a good upgrade and an opportunity for Honda to get back more buyers who were considering other options. The Honda Activa began its life in 2000. And soon went to become the most successful scooter India has ever seen. Activa became a household name and even more popular than Honda itself. It established a category. The demand was high and still remains. This living legend has changed over the years, not just with the names and design but engine upgrades as well. Now in the 17th year of its existence the company has unleashed the 2017 Honda Activa 125 with the BS4 emission norms and a lot of bells and whistle. Let’s see how well they sound. 2017 Honda Activa 125 is an exciting scooter now with additional features, and it now looks better than before. 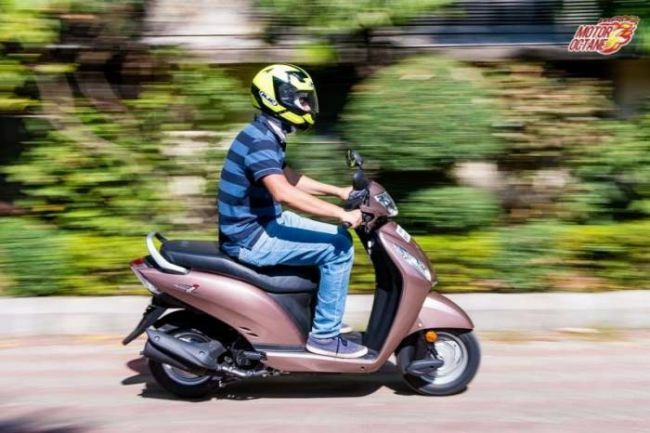 There is no doubt that the Honda Activa 3G is the best-selling scooter in the country, by far. Since its launch in the early 2000s, there has been no looking back. 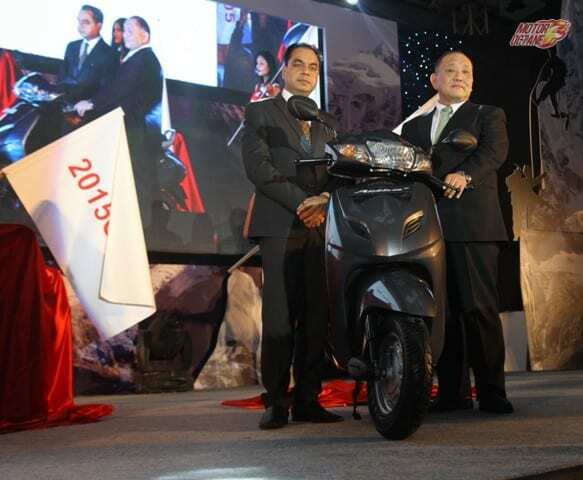 The company has also introduced the third generation of this scooter. It looks stylish and the new one refreshes the styling. So, what does the new scooter have on offer? It is called 3G as this is the third generation. The changes on the new scooter are only cosmetic. So, what is the new 3G all about? 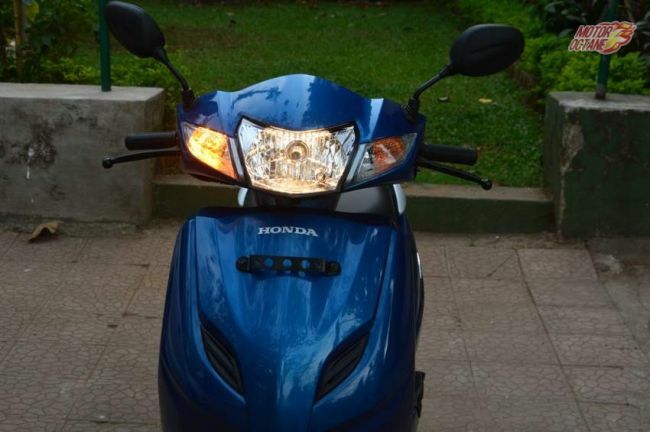 We share our in-depth Honda Activa 3G review. Honda Activa is one of the highest selling scooters in the country. At the moment, this is the only scooter that is dominating the Indian scooter market. Since, its launch in early 2000, this scooter has taken complete control over the market. So, what does the Honda Activa have on offering for the Indian scooter market. How good is it to ride. Is it worth buying? We do a detailed story on the scooter and give you all the details on the Honda Activa Price. Hero Maestro Edge vs Honda Activa 3G Comparison: Honda has the strongest scooter brand reputation in India. These Japanese scooters are competing with the best in class and yet are outnumbering others in sales. Reason being brand value and trust. Only other two wheeler brand that has a similar reputation is Hero. We pit the Hero Maestro Edge against the Honda Activa 3G and do a detailed Hero Maestro Edge vs Honda Activa 3G detailed comparison.